This charming mid-rise condominium is located on a well-manicured landscape with lush tropical foliage. It is located on the section of Beach Road, closest to Siesta Key Beach. Siesta Key Beach is Florida's most famous beach, and is internationally known for its powder-fine white sands. Residents and guests of the Sunset Royale enjoy million dollar full Gulf views from every unit. The beach offers many recreational pursuits such as nature trails, courts for volleyball and tennis, playgrounds, and picnic shelters. Water-based activities may also be enjoyed such as fishing, boating, parasailing, swimming, and many more. Local shops, dining, and entertainment in Siesta Village are within walking distance or a short ride on the many tips only taxis that service the island. One of the popular streets in Siesta Key island is Ocean Boulevard, famous for its fresh seafood fare, restaurants and bars. The Board of Directors welcomes you to our new community website. This site was created to improve communication between the community and the Board of Directors. This is your place to let us know what you like and what you think needs improvement in our community. This site will constantly evolve to meet the needs of the membership. 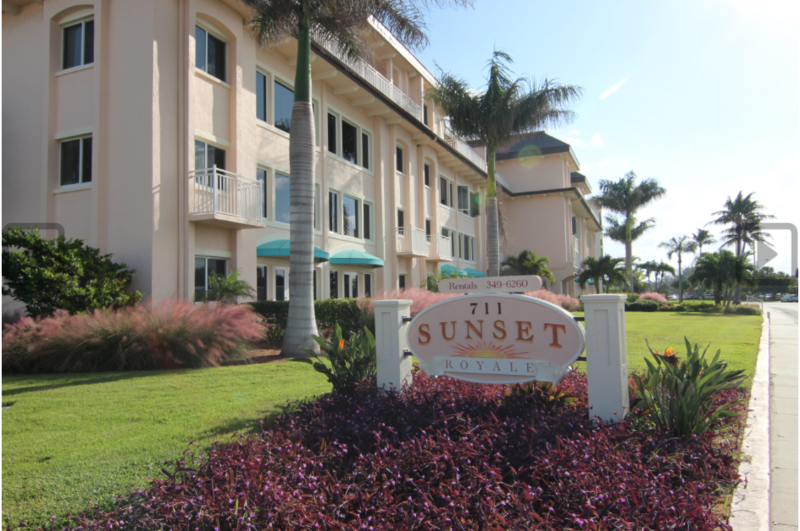 The Sunset Royale is the premier location on Siesta Key Beach. As we approach our Golden Anniversary we are committed to providing our owners and their guests with a beautiful and relaxing resort experience. We strive to maintain and protect your investment and hope to provide a stress free environment where our members can kick back and make memories that will last a lifetime.